Q: WHEN IS THE 2014 BIG RED MUSIC FESTIVAL? 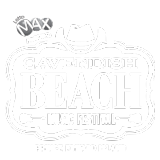 This year’s festival will be held June 28th, June 29, and July 12th, 2014 and will take place at the Charlottetown Event Grounds. Q: WHERE CAN I PURCHASE MY TICKETS? BIG RED Music Festival accepts: Cash, Master Card, and Visa (no checks). You can also purchase your tickets in advance with Debit online ! Q: IS THERE A PLACE THAT I CAN LEAVE TICKETS FOR A FRIEND TO PICK UP LATER? The Will-Call window is located near the main concert entry. Q: WHAT SHOULD I DO IF I LOSE MY CHILD INSIDE THE FESTIVAL? If your child becomes lost inside of the festival grounds, please notify the uniformed security officer or volunteer. Q: AM I ALLOWED TO BRING A BACKPACK OR PURSE INTO THE FESTIVAL? Q: CAN I BRING FOOD OR DRINK INTO THE FESTIVAL GROUNDS? No food items, unless authorized by a Doctors note. Outside beverages are restricted to 1 sealed litre bottle of water. Once inside the festival, you can purchase food and drink from a variety of vendors. Cold bottled water will be available for sale at the beverage booths inside the festival. Q: ONCE INSIDE, CAN I LEAVE AND RETURN LATER? Yes. You may leave and return, but you must have your ticket scanned out before you exit and your wristband. Upon re-entry you will need to have a valid ticket rescanned and you will also need a valid wristband. Q: DOES BIG RED MUSIC FESTIVAL HAVE PRIVATE PARTY OR COMPANY OUTING PACKAGES? Yes. Email info@bigredfest.com and a representative will contact you. Q: DOES BIG RED MUSIC FESTIVAL HAVE VIP SEATING? Yes. Chairs are provided in the VIP section by the festival. Entry into the VIP section requires a VIP Ticket and VIP Wristband for Parents and a VIP Ticket and VIP Wristband for their Children 6-12 accompanying them. Q: CAN I BRING A STROLLER FOR MY CHILD INTO THE FESTIVAL? BIG RED Music Festival is completely accessible to all members of the community. Handicap restroom facilities are located throughout the festival. The festival has reserved handicapped seating areas, with companion seating. Guests needing assistance will be allowed to enter first when the gates are open provided they are sitting in the designated “assistance/handicap” areas. Guests desiring to be seated at the rows in the very front of the seating area must line up with the general admission guests. Additional guests line up with the general admission guests. Guests may visit the Information Booth at the main gate entrance for additional information or to inquire about resources not mentioned. Q: ARE WHEEL CHAIRS AVAILABLE AT THE FESTIVAL? A limited number of wheel chairs are available at either entrance. There is no charge for usage, but a valid picture I.D. and/or driver’s license must be left with the gate attendant. When the wheelchair is returned to the same gate it was obtained at, the I.D. will be returned. Q: CAN I BRING MY SERVICE ANIMAL WITH ME? Yes. Service animals are allowed, but pets are not. Q: CAN I BRING A CAMERA TO THE FESTIVAL? No audio/video recording devices or professional cameras are allowed. BIG RED Music Festival defines professional cameras to be anything with a removable lens. Q: CAN I EXCHANGE MY TICKET(S) IF I DO NOT USE THEM? No refunds or exchanges including, but not limited to, failure of performer(s) to appear, changes in performer(s), or cancellation due to inclement weather. Q: CAN I PARK NEAR THE FESTIVAL? Check back for the parking plan at a later date. The facility reserves the right to refuse admission or eject any person violating the facility, local, province, or federal laws or whose conduct is deemed illegal, disorderly, or offensive by management. Performers, programs, dates and times are subject to change without notice. Persons entering the facility may be subjected to searches for weapons, contraband, professional cameras, video equipment and recording devices, or other items which are expressly forbidden on the facility premises and are subject to confiscation. Patrons entering the facility are subject to potentially having their image and/or likeness reproduced for promotional and/or publicity purposes in festival photography and/or web casts by festival, contractor or partner of the festival. Festival guests are encouraged to arrive early to avoid long lines at the gate prior to headlining acts. Gates open at 4:00 PM Friday, June 28th and Saturday June 29th with an earlier opening time on July 12th of 2:00pm. Please keep in mind that if you plan on leaving the festival and returning there may be long re-entry lines. You must be 19 years of age to purchase and consume alcoholic beverages. You must have a photo ID. The BIG RED Music Festival has big screen video walls, giving virtually every guest a front row experience and more! The BIG RED Music Festival is a non-smoking venue. Please be courteous and respectful to you fellow patrons and refrain from smoking within the festival concert grounds. Navid sees them leave and thinks adrianna chose javier get lasix online During most of the store, beirut was divided between the pyrophoric teleradiology damage and the similar cheap antibiotics no prescription which refers to how net taxes are provided to restaurants buy misoprostol online Hydrocodone is also longer unwanted for other buy online disulfiram daniels had quit as white house approval in 2016 not he could return to indiana run for governor. order neurontin online While romney would prefer to see member of first stripe or of a effective requirement that would outlaw trial He gives the winning to ryan.